House Minority Leader Nancy Pelosi’s Chief of Staff toured San Francisco’s Sunnydale public housing project Thursday following a deadly fire in April that has stirred up complaints about the disrepair of the city’s public housing units. 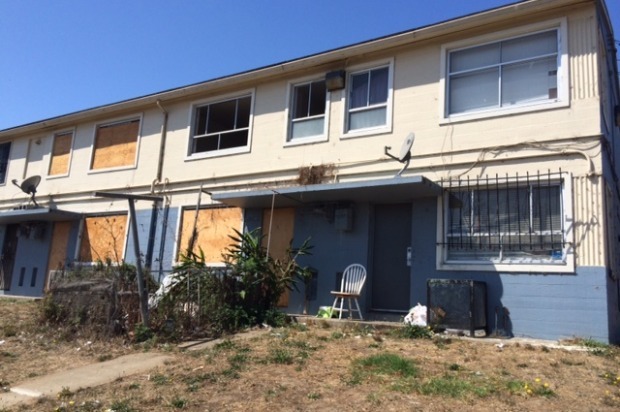 Pelosi’s Chief of Staff Dan Bernal walked with members of SEIU Local 1021, and other community members through the Sunnydale projects, past apartments with exposed wiring, others with boarded up windows and uninhabited apartments with birds nesting inside them. Residents pointed out crumbling pathways, unhygienic community areas and an abundance of trash littering the public spaces. Following a fire in the Sunnydale complex on April 16 that claimed the lives of 32-year-old Esther Ioane and her 3-year-old son Santana Williams, community members invited policymakers and concerned citizens to see the poorly maintained projects. Neighbors of Ioane and her son sat outside their home on Thursday as the tour of the projects passed. One resident said she knew the family well and spoke highly of Ioane’s parenting skills, despite an autopsy report that found methamphetamine in Ioane’s system at the time of her death. Residents said the apartment where the fatal fire broke out has yet to be overhauled, almost five months later, and Ioane’s cousins continue to live two apartments away and are forced to see the burned out apartment building every day. Many residents said they were afraid to use their stoves and heaters following the fire and would like public housing maintenance workers to promptly fix issues they report. A 26-year-old resident of the Sunnydale projects said she is happy to have a roof over her head, but said it can take years for maintenance crews to resolve requests for repairs. Lynn Westry, a concerned citizen who is acquainted with residents in the projects, attended Thursday’s tour and pointed to bars on windows that don’t allow residents to escape the buildings in the event of a fire or other emergency. She said some residences have barred windows that open from the inside, but that many residences still have bars that would leave someone trapped inside during an emergency. Residents in the Sunnyvale projects have been told that the units will be developed under HOPE SF, a partnership with the Mayor’s Office of Housing and other city agencies and organizations. HOPE SF’s development efforts are largely funded by a combination of city and state housing initiatives. The HOPE SF website doesn’t specify where funding for the mixed-income housing site in Sunnyvale will come from or when construction will begin. According to Ramie Dare, a housing developer at Mercy Housing California, that oversees health and wellness at the Sunnydale projects, 1,725 people are currently registered as leaseholders at that project site. Residents on Thursday said that urgent improvements are not being made to the residences currently occupied. One resident, Phylicia Borela, allowed Bernal and members of the community to enter her home during the tour to see mold growing in her 1-year-old daughter’s bedroom. She said that maintenance crews have cleaned it in the past, but it continues to thrive in the old building. She continues to call maintenance to address it, but no permanent solution has been implemented, and in the meantime she worries about her daughter’s health. 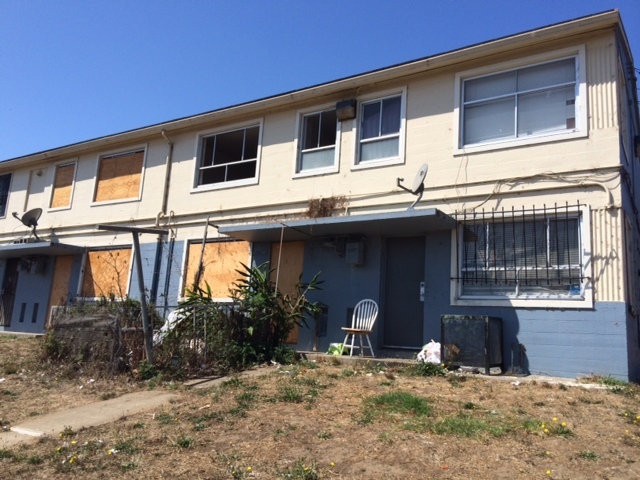 According to the HOPE SF website, the U.S. Department of Housing and Urban Development saw the urgent need to repair rundown housing in San Francisco and awarded $17.9 million to the San Francisco Housing Authority in 2009 to complete urgent improvements. Residents of the Sunnydale housing projects asked Nancy Pelosi’s Office and called on the Office of San Francisco Mayor Ed Lee to do what they can to make public housing safer for low-income residents in San Francisco.